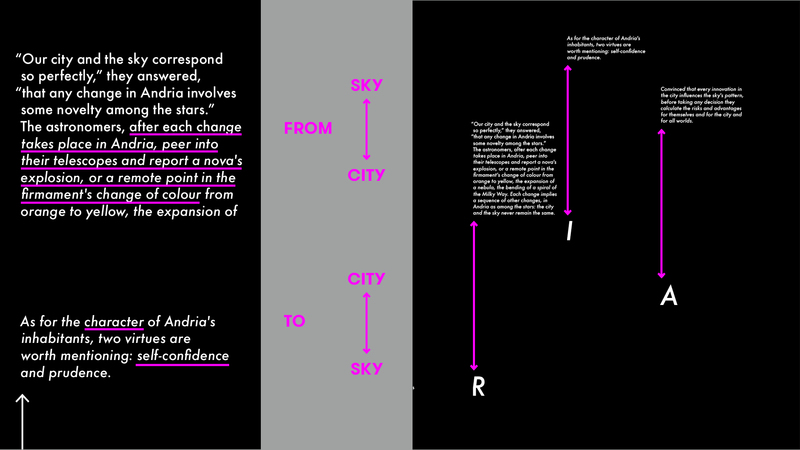 "Invisible Cities" is a truly special and inspirational book by Italo Calvino and it has been redesigned by Kingston Universities MA graphic design class 2015/16. 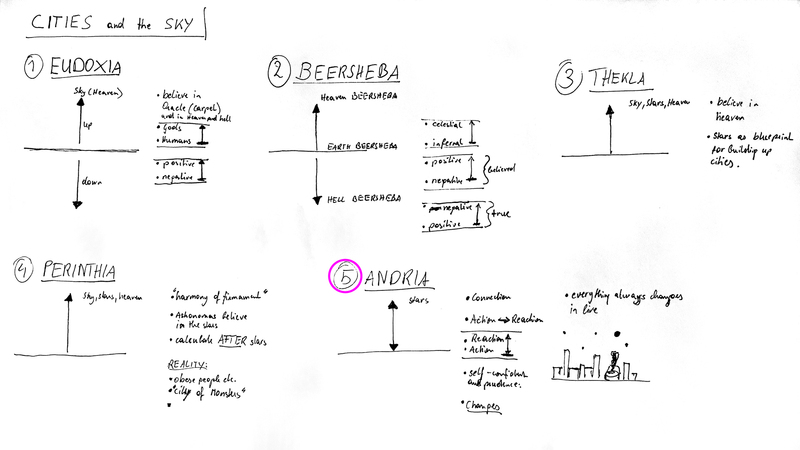 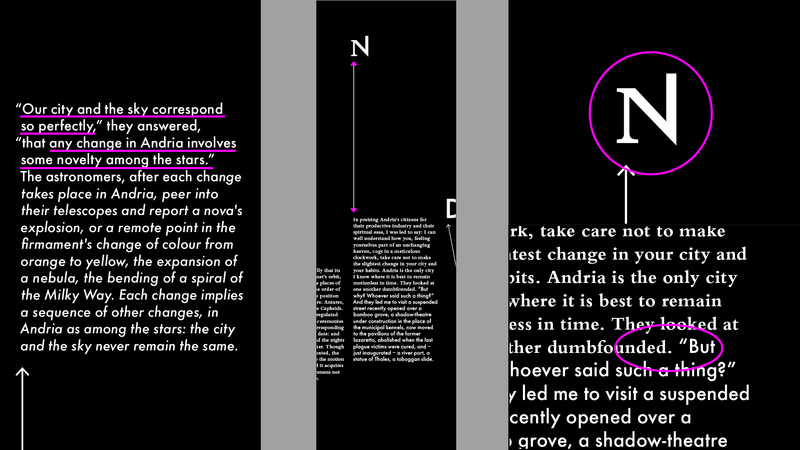 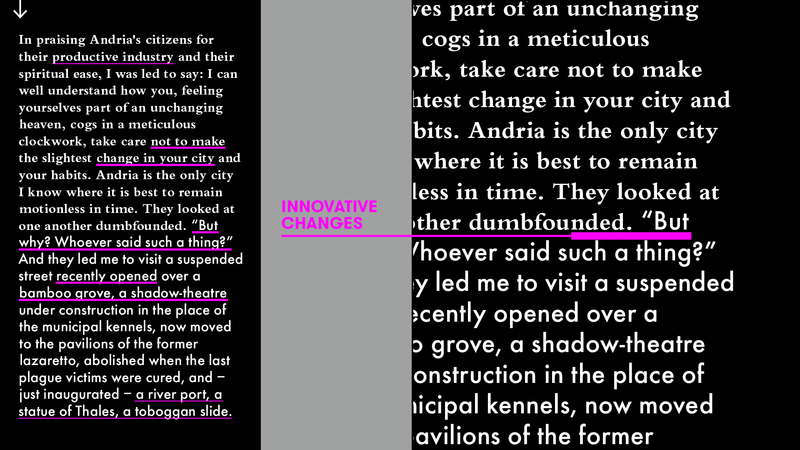 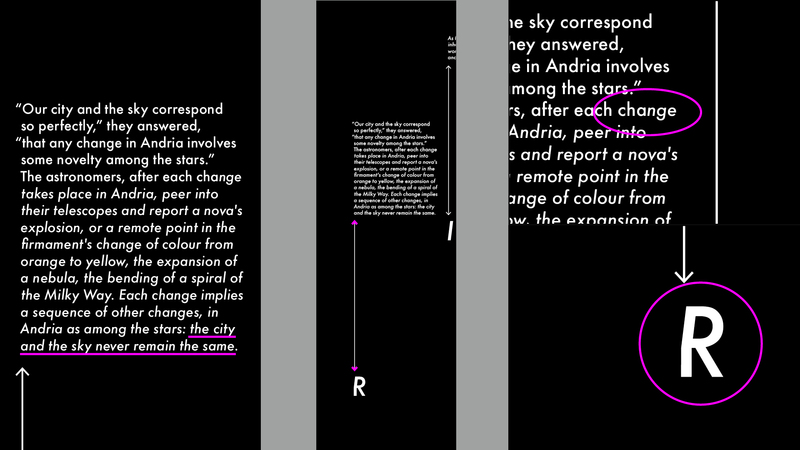 Each of us analysed, interpreted and visually responded on the content of a city in a new and conceptual way. 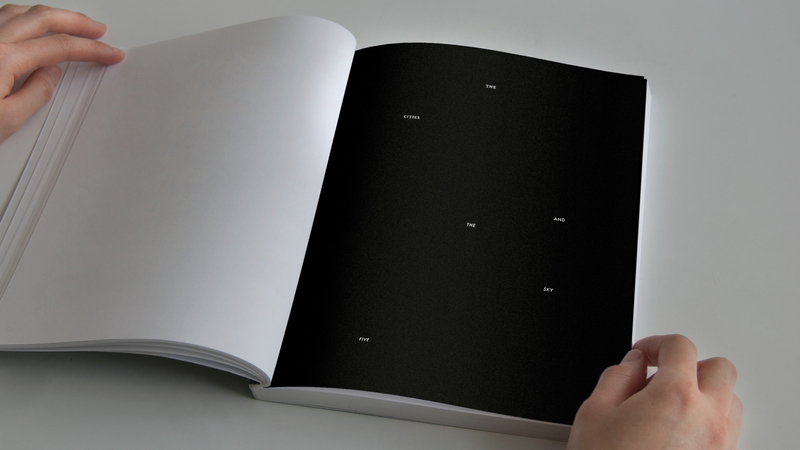 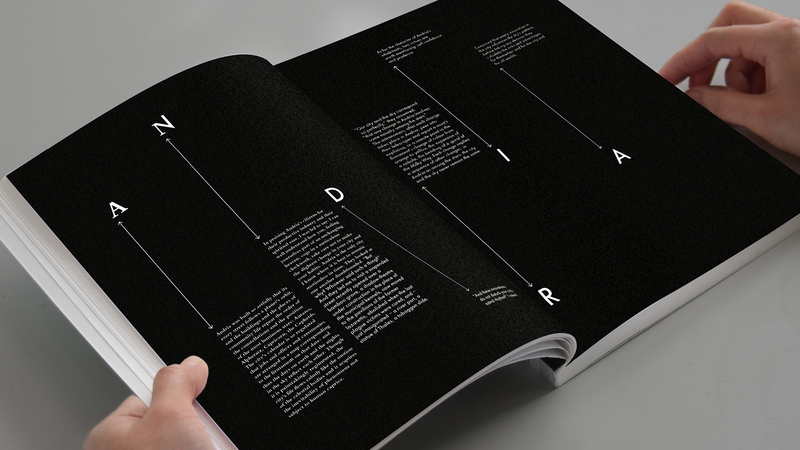 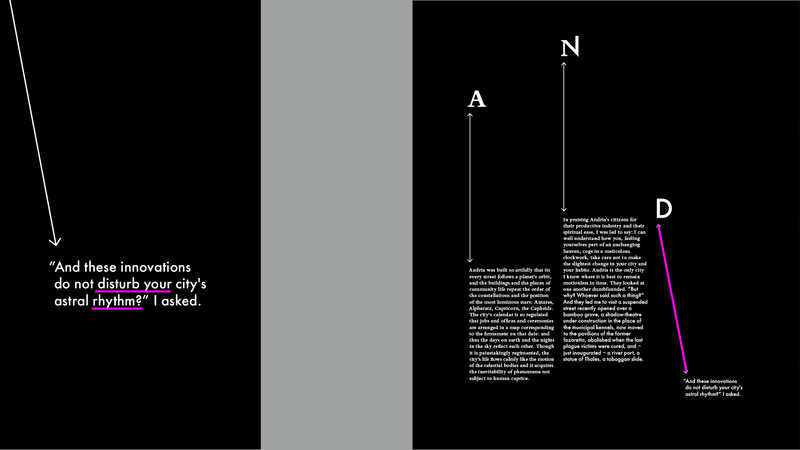 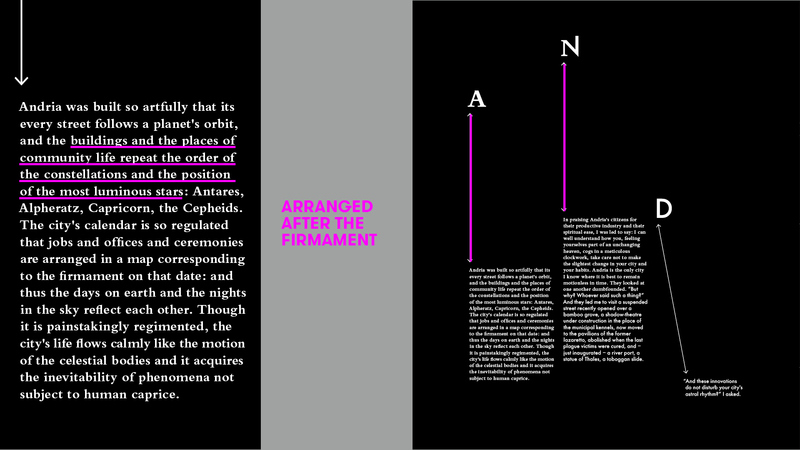 The task was to only use black & white typography and visual elements without images or illustrations set on three pages. 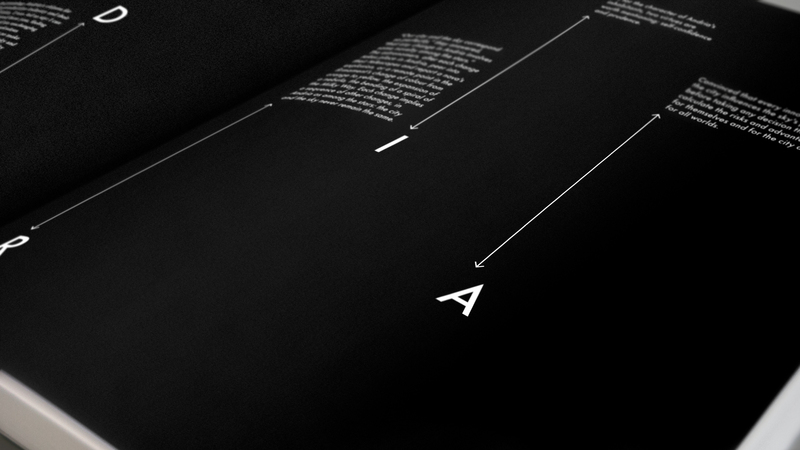 The motto was to "communicate rather than decorate" which became part of my manifesto afterwards.